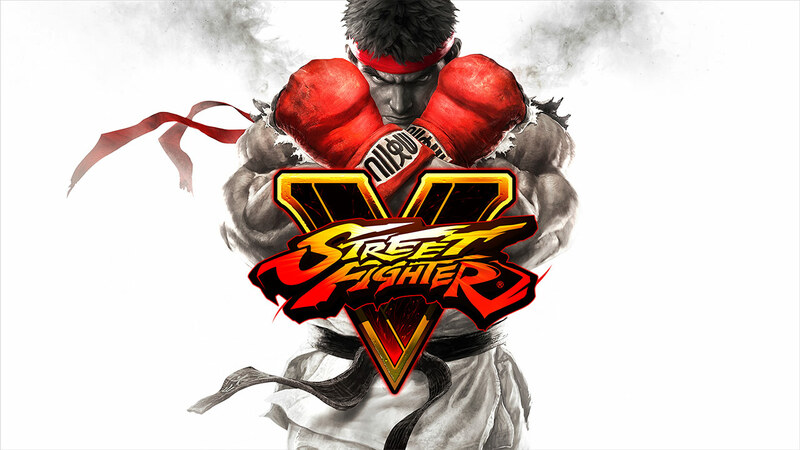 REVIEW: Street Fighter V – PLAY! PLAY! Many years before gaming centers, multi-million dollar tournaments and even the term eSports, we have competed on arcade machines at their namesake Arcade rooms. There was a king among all of those machines, Street Fighter 2, a game used to settle many a feud, a game which ate up all of our lunch money. Who would have thought that it’s been more than two decades since then? Times have changed, games have come and gone, but Street Fighter always somehow endured through many revisions and expansions, until finally we have before us a brand new SF with the number 5 In its title. 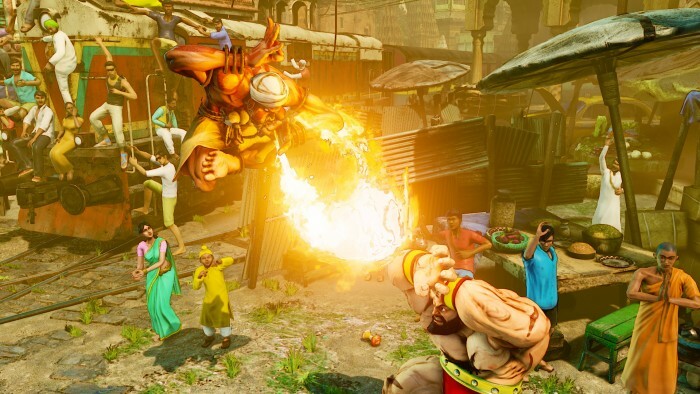 The new Street Fighter is based on the same principles from the last three decades of franchise’s existence – two fighters dueling on a 2D side-scrolling backdrop using a combination of 6 strikes. But this is far from being a simple, shallow game. 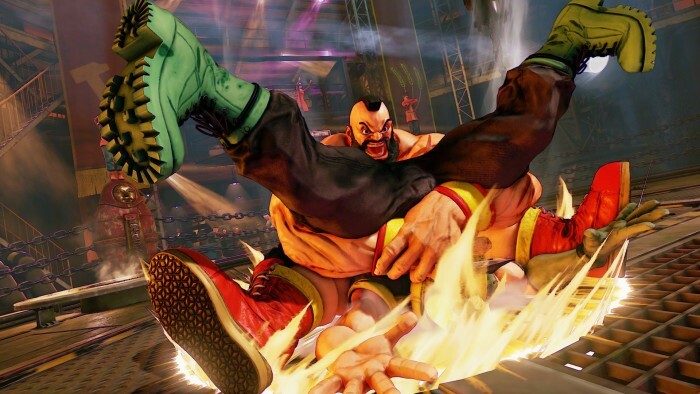 Of course, everything starts by choosing a character, and every fighter in Street Fighter V has a specific play style. The game ships with 16 characters to chose from, four of which are newcomers to the series, and Capcom plans to add more through DLCs (it’s possible to win them by playing the game). Although it sounds like there’s too few when compared to Ultra Street Fighter 4, we should remember that SF4 also had less than 20 fighters and that all the game changes and new characters were added through re-issues of the game at full price which fragmented the player base. 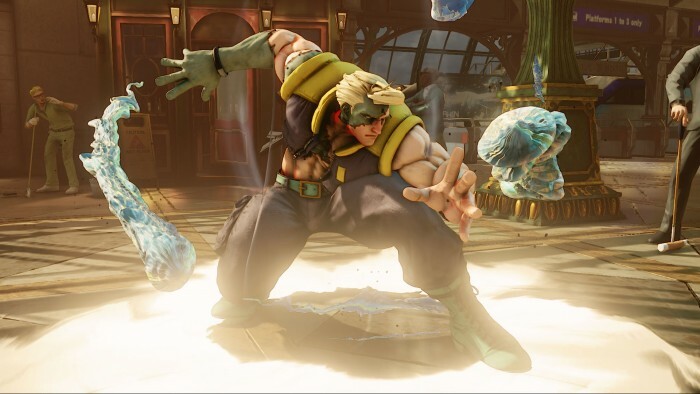 The decision to make the game a basis to add new content on to over time is far better than the Capcom’s earlier practice with the series and we fully support it. As we stated before, the core gameplay doesn’t differ from previous games and it’s easy to transition to SF V from a previous SF game. However, when we delve deeper into its systems, we notice a substantial number of additions. EX scale is identical to the one from the previous game, while the Variable System is a completely new addition with which every character gains an additional set of moves. Namely, the V-scale will fill up as you get hit or perform a chosen character’s specific move, and it has a different number of increments for each fighter. 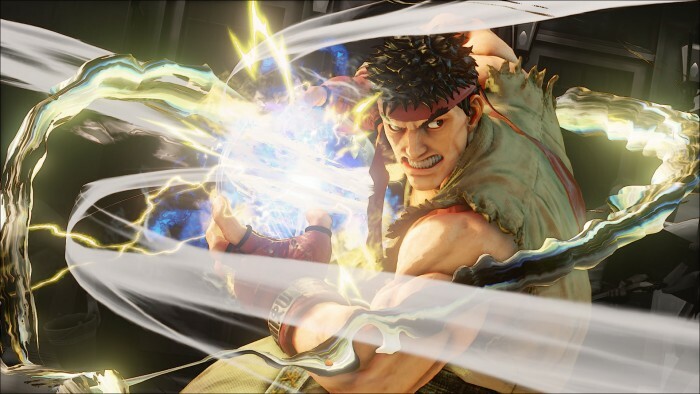 By filling up the scale, you’ll be able to activate the so-called V-trigger which enables your character to perform a specific move and temporarily strengthens his special attacks. Also, now you can block an opponent’s relentless assault, followed by a combination of buttons with which you can unbalance your opponent for a brief counter-attack window. This whole system is great and you’ll spend a lot of time discovering all of its applications and finding new move combos with familiar characters. Also, for the first time in the series there’s a visible stun scale. If you’ve ever wondered how Street Fighter determines when your character will become unconscious with birds chirping around his head, now you’ll clearly know by glancing at the aforementioned scale that’s right under your health bar. Fighters are introduced through short story modes for each of them, in which you’ll find out a bit about their back stories and goals through excellently drawn comics and a few fights, and which will be expanded upon in an upcoming greater solo campaign, which will be released as free DLC in June. Sadly, the game releases without some modes, and with obvious placeholders in menus for them to be added. The current campaign is a sore excuse for a story-mode, because it isn’t a challenge like the former Arcade mode, nor does it last long – it takes about ten minutes to go through each of these stories. Although Street Fighter was never primarily a solo game, some players might be bothered by this “bare-bones” release from Capcom. But still, the game is mainly targeted as a multiplayer game for playing with friends or online, and for which there’s no lack of modes. However, we still find it odd that there are no Challenge modes through which you can learn each character’s moves and combos, although those should be released as a free patch in early March. On the other hand, we were pleasantly surprised by the Survival mode in which we’ve spent most of our time when we weren’t exchanging hadoukens with other players on the internet. Survival is made up of a string of fights against the AI, during which you have to choose one of many modifiers to affect your next match after the previous one. Those can be attack bonuses, scale refills, but also handicaps or doubling of scored points. So it’s sort of a “score attack” mode which can take quite a while on higher difficulty levels. Of course, there’s also a Training mode which allows you to set up a huge amount of parameters for your AI opponent, and even record whole move sequences against which you want to practice your defense. 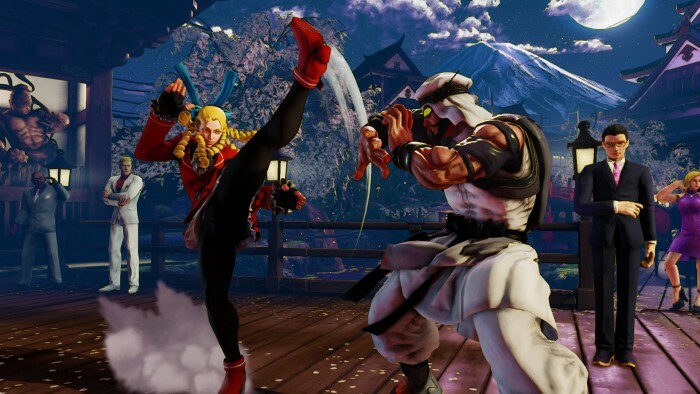 Street Fighter V has kept the well-known stylized graphics from the fourth installment, with the expected increase of polygons in characters, as well as added details to the arenas. The new version of Unreal Engine is responsible for everything looking great and playing smoothly at 60 frames per second on both PC and Playstation 4. But perhaps an even more important aspect to transition onto this popular engine is the possibility for both PC and PS4 players to play together on the same servers. There are no more platform restrictions, nor region blocks, all of which means that the game will boast the biggest player pool yet. Through the CFN network, the game’s online component is even more prominent than before, allowing you to follow the achievements of your friends and favorite players, share clips of your best fights, and review detailed statistics of your performance. All of this would have remained a neat idea on paper, if the netcode – the usual affliction of fighting games – wasn’t vastly improved upon. Street Fighter V has the lowest online lag in the series and we’ve experienced matches so smooth that we were under the impression that we were playing a local game, and not against an opponent from the other side of Europe. You can turn on match request from the main menu, which will then search for an opponent according to your input parameters, even while you’re playing a match in a different mode. And finally, this is still that good old Street Fighter – a game in which winners are determined by outwitting your opponent and lightning-quick moves. Content-wise, it’s not the richest fighting game we’ve seen, and it’s hard to justify its 60€ price tag when compared to Mortal Kombat X, for example, which was released with a ton of content, but which has also charged dearly for everything extra afterwards. 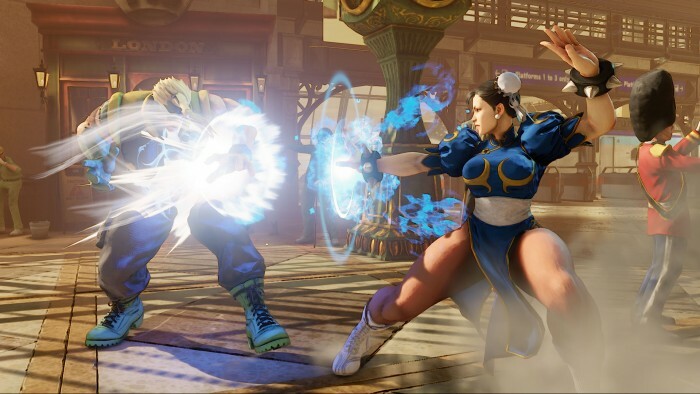 Capcom has a big, long-term plan for Street Fighter V, a “game as a service” as they call it, with many free add-ons to be released each month for everyone. So, the rating we gave it reflects only its current state and we believe it will only grow as the game expands. A new generation of hadoukens is upon us and it has a bright future. I’m SO glad they decided to let people get all of the characters for free instead of super-ultra-arcade re-releases. Grabbing my copy right away!